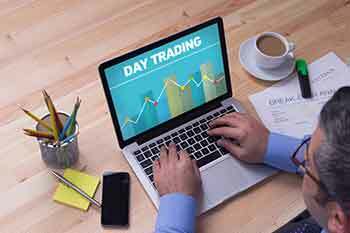 Can NRIs hold a demat account in India? Having a demat account means there is no need for physical share certificates. A depository company holds the demat accounts. An investor can hold a demat account with the depository company and trade in the stock market. Demat stands for dematerialization. A demat account is a special holding that stores shares in an electronic format. Having a demat account means there is no need for physical share certificates. A depository company maintains demat accounts. An investor can hold a demat account with the depository company and trade in the stock market. A demat account is just like any other bank account; it can also have joint holders who should be citizens of India irrespective of the resident status. NRI demat accounts also have nomination facility. In India, both residents and non-residents can make use of this demat account to trade in shares. However, if a Non-Resident Indian (NRI) wants to open a demat account, they have to follow the rules of the Foreign Exchange Management Act (FEMA). As per the rules of the Reserve Bank of India(RBI), an NRI can only hold up to 5% of paid-up capital in an Indian company. An NRI can invest in Initial Public Offers (IPOs) on a repatriable basis by using NRE demat and funds in their Non-Resident External (NRE) bank account. If the NRI invests on non-repatriable basis, then the Non-Resident Ordinary Rupee (NRO) account and NRO demat will be used. However, if a person has a demat account before gaining the status of NRI, they can convert it into the NRO category to trade after leaving the country or open a new account. Either way, shares previously owned will be transferred to the new NRO holding account. An NRI can use the demat account through Portfolio Investment Scheme (PINS) to make investments in India. The PINS scheme permits an NRI to transact in shares and mutual fund units. All these documents should be attested at the Indian Embassy of the country where the NRI resides. An NRI can make investments in the Indian share market very quickly from any part of the world. The transactions immediately reflect in the demat account. The physical documentation process of the transactions will reduce. The transactions happen quickly and efficiently. There is minimal risk of forgery, loss of physical documents, late delivery, and other problems. The demat account can even hold a minimum amount of one share. If they simply follow these steps, it would be quite effortless for NRIs to open a demat account.